A REALLY WEIRD SOLAR ECLIPSE: Earlier today, NASA’s Solar Dynamics Observatory (SDO) observed an eclipse of the sun – a strange kind of eclipse that you can only see while orbiting Earth. The black disk of the New Moon passed in front of the sun, reversed course, and did it again!! Due to the quirkiness in the way this eclipse occurred vs. how others have, it gives the thought to “Pause & Reset” your current situation/path. Just as the eclipse did by stopping, going backwards, then moving forward again, it gives notice to stop and re-check your work, communications and think before you do and say anything that may cause you regret. As we approach March equinox at Zero Point… this is the perfect time to slow down and re-evaluate your current path. What is truly important to you in your personal life, career and relationships? Now is the time to make changes to correct your course back into Divine alignment moving to the 2nd quarter of the year. Removing any toxic or negative influences, or energy from your life will benefit you in reconnecting with your Divine soul alignment in all areas of your life! RE-EVALUATE. RE-ACCESS. RE-CHECK. RE-ALIGN. BEGIN AGAIN! Why the Lions Gate is actually taking place on/around the 22/23 August, and the importance of going outside and connecting directly with the Stars. What is the Lions Gate? I have seen various information being shared about the Lions Gate, what it is and when it is. Most sharers connect it to the 8/8 August Gateway and associate it with the Egyptian Culture and their celebration of a particular significant cosmic alignment — during Sirius’s helical rising (when the Star System rises close to the Sun/Horizon in the East), the Sun is in Leo, and there is an alignment with Sirius and Orion’s Belt. This alignment connects with and activates the Giza pyramid stellar geometries and alignments, as well as the Sphinx which gazes due East to watch Sirius and Orion rise in the early Hours of the morning and thereafter witnesses the Sun Rise in Leo. It is proposed by some researchers of the Egyptian Temples that the Sphinx was actually built during the Golden Age of Leo approximately 13000 years ago (10 000 BC), This was when the Sun rose in Leo during the vernal (Spring) Equinox, initiating a Golden Age on Earth, which involved the end of an Ice-Age and the rise of the advanced civilization that built the Sphinx in Egypt. Most sharers associate the name of the Lions Gate with the Sun-Leo alignment which amplifies the Star Lion/Leo Constellation Frequency bandwidth’s transmission into Earth due to Leo being ‘ruled’ by/strongly connected to the Sun. It would make sense that this culture would celebrate this alignment which marked the beginning of their Golden Age and the rise of their civilization each year. Many of the Egyptian Deities associated with First Time and Creation are leonine beings, and the ancient tradition of lion shamanism/priests in the Egyptian and African cultures also eludes to the spiritual significance of the leonine beings and the consciousness/sacred knowledge that they hold/carry and transmit. What is the Lions Gate Really? Leading into the Lions Gate, I was given a book to read called “the Mystery of the White Lions” by Linda Tucker. I have had a strong connection to these beings my whole spiritual journey and so was very excited to learn more about their origins and the significance of their physical return on Earth for Humanity. This books documents the birthing and return of the White Lions to the Timbavati region of South Africa around 400 years ago, and the increasing activation of this ‘dormant’ DNA strand within the Lions from this region, leading to a growing number of White Lions being born and bred around the world and especially in South Africa. It also speaks about the Lions connection to the Sun and the Stars. It is understood by all indigenous cultures around the world that life on Earth originated in the Stars. In the book, Credo Mutwa – high Sunasi and keeper of the Sacred African Traditional Knowledge — shares how his people understand that all beings and Animals on Earth have their origins in the Stars, and that the constellations — that have been long associated with Animals by all Star Watching Nations on Earth — are directly connected to their Animal counterparts on Earth. One can understand this through the perspective of seeing all of life as universal energy expressing itself in different tones, patterns and forms. These Stars hold and transmit specific energies/frequencies and consciousness, which is projected into/transmitted into the Earth. These constellations form patterns of Energy which is made manifest in the Earths fertile womb as the Earthly/Material reflection and expression of that same energetic pattern/geometry/expression/consciousness. The study of the energy and consciousness of the stars and the constellations is known as Astrology in modern times. The Leo Constellation holds the Star Energy of the Elder Lion (Mbube Edingile in the African Tradition) — one of visionary leadership, a courageous strong heart, creative, loving, generous, strong-willed, confident and independent. These energies held by this constellation when directly projected and manifested into the Earth take the form of the Lion — the pure reflection/material manifestation of this Star Constellations Energy. The Lion is also strongly associated with the Sun, and Credo Refers to the White Lions as the Children of the Sun God, Star Beasts who hold and transmit the Solar Logos/Vibration/Laws/Consciousness on Earth. Not just of Solaris — the Morning Star — but of the Great Central Sun — the Source of all Light and Life in this Universe. In many religious texts and native cultures Lions are regarded as protectors and keepers of sacred knowledge, as creators/guardians of the Earth and humanity, and as first children/creations of God. Jesus is referred to as the Lion of Judah, and Lions represent the King/Ruler/Keeper of Divine Balance and Harmony within all the kingdoms due to their position at the apex of the pyramid of life — they are the ultimate ‘predator’ and therefore rule the balance within the whole system. We have this Lion Gene/Energy/Consciousness within us — both the Lion’s position as the apex ‘predator’, and ability — and therefore responsibility — to lead and maintain balance in accordance with the Divine Laws of Nature; as well as their Lion-Heart and visionary creative capacity/power. During the Lions Gate, this Divine Leonine Frequency is Amplified by the cosmic alignments which activate the Stargate through which the leonine frequencies are transmitted into Earth. According to Credo and the Great African Tradition – The Three Main Stars through which the Lion Frequency enters into Earth are Sirius (Star A), The middle Star in Orion’s Belt (Mbube — ‘Lion of the Dark’), and Regulus — the Heart Star of Leo. Credo describes how Sirius represents the ‘Eye’ of the Sky Lion, Mbube is the ‘soul’ of the Sky Lion and Regulus is the ‘heart’ of the Sky Lion. The Lions Gate is the ’time’ when the Sun aligns with (moves directly in line with/in front of) the Star Regulus in Leo, activating the Lions Heart Star Frequencies, and connecting and aligning with Sirius and Orion’s Belt in the East to activate the triangular cosmic creation gateway through which the Divine Leonine Energies and Consciousness entered into and continues to stream into Earth. Through this Alignment this divine star lion energy is amplified on Earth and our own dormant white lion DNA/Gene Key/consciousness/nature is activated within us once more, as we are all reborn as Christed Children of Sun and the Supreme One. This Lions Gate reminds us of our nature as divine children of God and as visionary creative beings who have the strength and courage, through our Lion Heart, to lead Humanity once more into a Golden Age. When does the Lions Gate Actually Take Place? Due to the shifting positions of the Zodiacs in the Sky and the procession of the Equinoxes, the Vernal Equinox sun rise is now taking place in between Pisces and Aquarius in the Northern hemisphere. This is where the notion of moving into the Age of Aquarius comes from. Here in the Southern Hemisphere, as the White Lions are returning to Earth, we are moving into the Age of Leo, offering a powerful reflection of the present rebirthing of the Golden Age, as the same energy that heralded in the rise of the advanced civilization in Egypt after the Ice Age and the construction of the Sphinx and Giza Temples in Northern Hemisphere, expresses itself in the South. This also means that the time and date of the Lions Gate has shifted over the ages — which explains the distortion around the exact dates for this cosmic alignment and why on the 8/8 which is supposedly the Lions Gate – the Sun is actually not even in the Leo Constellation but is positioned in between Leo and Cancer in the Sky. What a beautiful reminder for everyone to please get outside and connect directly to the Stars! We have become so detached to what is actually taking place within and around us, and so deeply dependent on inherited traditions, systems and beliefs from certain lineages and ‘older’ cultures that we have forgotten our own personal capacity to connect with, communicate with and draw wisdom directly from the Source, one another, our surroundings, the Earth and the Stars. It is essential that we connect to what is actually presenting in our Now Reality, and allow ourselves to draw in this New Now Information, rather then through fear or a sense of lack within ourselves choosing to operate from and depend on an out dated/no longer relevant system of understanding. We can always benefit from observing and learning from what has been before, but our sacred gift and responsibility is to apply this wisdom in the now so that we can grow with it, evolve with it and bring in new/now understandings/perspectives. I have used an awesome technology and phone app called Sky Map to take a virtual picture of the actual positions of the stars and cosmic planetary bodies at specific times and dates this Month. In the images attached you will see what will actually be happening in the Sky around the 8th of August, as well as the 22nd/23rd, showing how and when the Lions Gate Cosmic Alignment will actually be presenting itself. The actual Lions Gate Alignment of the Sun with Regulus, Sirius and Orion takes place around the 22nd/23rd of August — which explains the powerful gateway energies that many have been feeling coming in towards the end of the month of August. Sandra Walter described it as feeling like we will be walking through a wall of light — and that is exactly what this Lions Gate is — a powerful stellar gateway and transmission of pure white gold energy straight from the Central Sun, toned through the Star Leonine Consciousness and Geometries of Creation. Credo says that in the Great African Tradition it is understood that when the Sun aligns with Regulus a king/kingdom dies and a new one is born. I feel personally that this years Lions Gate is marking the end of a significant cycle within our awakening on Earth as Divine Huemans, and will be initiating us — through it’s stellar frequency download/transmission — into a next level expansion and evolution as divine children, visionaries, leaders and co-creators of the Golden Age/Eden on Earth. As we come together to honor this sacred gateway and initiation, I invite you to use this as an opportunity to go outside and connect directly with the Stars, The Earth and the Plant, Elemental and Animal Kingdom. Open up your heart to hear their story and message/guidance for you and humanity. Connect with your own inner Lion being and ask yourself how you can connect with and step more fully into your divine purpose and presence/expression in this Life, how you can open further to allow your own lion-heart to roar more loudly and guide you on your journey, and how you can nurture and create the sacred space for your own divine creativity and hearts visions to flow and manifest in your life and community. This is our time to shine, to explore and share the truth, beauty, wisdom, strength and creativity of our radiant united heart. Gratitude to all who came through to share this sacred message. There are more eclipses coming your way, stargazers! Granted, some of us haven’t really had a chance to process the partial solar eclipse on July 12, but let’s be real, we really have no choice but to surrender. For the record, the total lunar eclipse 2018, aka blood moon, is not to be taken lightly. On the contrary, it is said to be the longest total lunar eclipse of this century. That in itself is pretty mind blowing, don’t you think? On July 27, at exactly 4:20 p.m. ET, the moon will take a journey through the earth’s shadow, for approximately one hour and 43 minutes. This eclipse will appear orange and red, due to sunlight passing through earths’s atmosphere and reflecting off the moon. I know, isn’t that totally magical? Although, the majority of us won’t get to witness this cosmic event, (North America) as the moon will be below the horizon. This particular eclipse is part of the Leo-Aquarius eclipse family, which is set to continue until the beginning of 2019. The lunar eclipse on July 27 will be in 4 degrees Aquarius, and the solar eclipse on Aug. 11 will be in 18 degrees Leo. The final Leo-Aquarius eclipse, however, will take place on Jan. 21, 2019 in 0 degrees Leo. This will be the conclusion of a two and a half year cycle. For starters, the moon is a highly emotional planet, so you can already imagine how emotional a lunar eclipse really is. However, this eclipse will be in the sign of Aquarius, which also happens to be the sign of the collective. 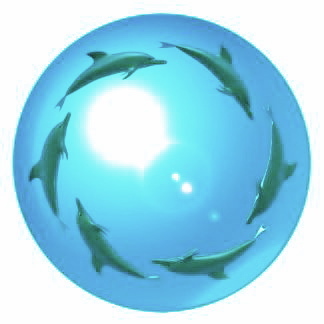 Aquarius is the humanitarian of the zodiac, as it represents social groups, teams, and tribes. With the moon in Aquarius, reactions tend to be more logical than emotional, as our humanity becomes top of mind. Now, adding wood to the fire, Mars will also be involved, which make this ending that much more powerful. Although, with Mars Retrograde, there could be some frustration in the process. Put it this way, Mars loves to go fast. Its energy is vigorous, enthusiastic, and passionate AF. However, in retrograde, this intense energy is internalized, so it could feel somewhat restless. Nevertheless, the universe is asking us to let something go, and free ourselves from emotional (moon) burdens. The lunar eclipse, alongside Mars Rx and the South Node, will be making a square (tension) to rebellious Uranus. Interestingly enough, Uranus is Aquarius’ planetary ruler, and it literally just switched signs into Taurus, so this is a whole new level of meaning. Uranus is the planet of chaos, electricity, and rebellion. Taurus represents our income, values, and self worth. Together, these energies will transmit electric waves of change, pushing us towards a whole new level of perspective. Now, this is really powerful, and since the South Node is involved, it will help us rid ourselves of what no longer serves us. Are you ready? This lunar eclipse will be a blessing in disguise, and I’ll tell you why. The day of the eclipse, the sun in Leo will also be conjunct the North Node. The sun represents our soul purpose, and the North Node is basically the yellow brick road toward the sun, aka our soul. Also, the sun is our energy and vitality, so this could definitely be a confidence booster, as well as a bright light in our lives. Despite how intimidating this lunar eclipse might sound, just know that you are undergoing a beautiful transformation. This is your metamorphosis, and your soul evolution. Release what no longer serves you, and open the door to change. From the Guardian perspective our moon is an inorganic structure, and did not come from our solar system. The moon is an artificial satellite is that is locked into orbit with the earth body’s magnetic core. It was brought here during the last war between the Pleadians and Reptilians. The moon is a craft stolen from war and stripped to be refitted for its current use as a Reptilian and Grey Alien base. Apparently, there are many beings living inside of it, even now. Its use was for practical reasons to be able to have a “moon base” in close proximity to monitor and adjust the magnetic fields of the planet. The Moon base has technology that keeps the magnetic spin rates that keep the connections open to the wormholes they have created. Our solar system is damaged because these entities were creating rips and holes in time as well as, wormholes. Additionally, it has been recently observed that the Solar System Stargate 7, located inside the planet Saturn was also transmitting artificial intelligence beams through the Moon that corrupted the ultra-violet wave spectrum in our planetary Magnetosphere. The impact of several technologies used from this Archon base, seem to have been recently neutralized in some of their effects. Like 7D reversal technologies that allowed for having operable Hibernation Zones, used in phantom areas as ambush pockets, to get into the earth field quickly though parallel doorways. The parallel doorways appear to lead directly into Lake Titicaca underground water base, which have been closed off and secured. Many underground bases scattered throughout the earth are in some kind of spiritual or material conflict for control and security. Correction of this particular AI distortion appears to help people on the earth, to potentially align with higher frequencies and to have a better functioning Crown Chakra, or 7D energy center. The moon transmissions have been especially difficult on the human mental body and the ability to actually have a brain and nervous system that actually functions well. The anticipation is for an easier clearing out of Glandular System Implants, Pineal Cages and related Crucifixion Implants, that can be more easily dissolved from the lunar distortion impact as a result. For those on the ascension path, this will gradually lead to clearer thinking, higher functioning glands and the ability to build the Perceptual Bridge that accesses the functioning of the Higher Mind. Tara exploded millions of years ago as a 5D Planet and as a result, was sucked into a reversal black hole which manifested 12 spherical layers of the planetary bodies in our current Solar System, including the 3D version of Earth we inhabit in this Time Vector of the Universal Time Matrix. Tara and Tiamat were a Binary Star system. Tiamats explosion and (Maldek’s explosion in 3D Solar System) destruction is the reason our 3D planet has an artificial satellite which is our Moon. Moon Chain Beings are soulless beings, like the Greys and Zetas, that have been cloned and used by the Annunaki, Draconian, etc. whom have placed these beings as “workers” on various planets. Moon Chain races are a part of the Refugee Races that came from exploding planets in our Solar System. Moon Chain lineages are also cast offs from other cycles of evolution between multiple planets in our Solar System. The Moon chain lineages have been directly involved both karmically and technologically with purposely creating the “Sexual Misery” program in the human race during this dark age. The sexual misery program is to distort, manipulate and abuse the sexual energies, therefore spiritual energies, in human beings incarnated on this planet. The Baphomet fields are intricately involved in all deceptions and trickery relating to the Seducer Archetype which promotes the Sexual Misery Programming of the lunar forces or Moon Chain Lineages. Transfiguration corresponds to the element of Solar Fire, which burns away the shadow forms in the lower chakra centers. The lunar forces (Moon) connected to the Dark Mother, the lower shadow forms start to rise in our body to be consumed in the transfiguring Solar Fire. The new levels of intracellular light illuminate the lower shadow body reflections, and we are able to sense them, when we could not sense them before. Transfiguration defines many different gradations of the Ascension experience, where there is shadow and lunar, these will rise from the cellular memory in the body to be seen. Generally, we will perceive the shadow rising into the area of the body where the memory is attached; either physically, mentally, emotionally, or spiritually. We witness the shadow rising and all of the negative emotions and pain that are associated with it in our memories, identities and timelines. The shadow is something to learn how to embrace and not fear, as it rises to surface awareness, it is showing us exactly where we need to heal. The shadow highlights weakness in our Lightbody that needs to be strengthened through spiritual dedication and devoted Meditation with the inner light presence. Emotional shake-ups and relationships are front and center with today’s lunar eclipse at 22 degrees Leo. The effects of this lunar eclipse will be felt most strongly over the next several days but its energies will influence events unfolding over the next six months and beyond. The lunar eclipse in Leo is the first of two February eclipses. A solar eclipse follows on Feb. 26 at 8 degrees Pisces. These eclipses will set the tone of the next six months, until the next eclipse series in August. The energies of February’s eclipse series are already sewing seeds of change, triggering events that bring memories, dreams and emotions to the surface. Eclipses tend to bring random and unexpected events that allow you to step outside the flow of time and free yourself from any way in which you’re over-absorbed into physical reality. In the weeks immediately following an eclipse, the veils between dimensions remain thin and fluid, allowing for easier communication with our higher selves and aspects of our consciousness incarnated in other timeframes. Dreams, both waking and nighttime, may be especially profound during this time. Guidance arrives with warp speed, bringing answers to long-held questions. This is a good time to go for walks in nature, and to spend time meditating, journaling, fasting and listening within. Everyone feels the effects of an eclipse but those whose charts are strongly impacted by an eclipse will feel the energies more intensely. Since the lunar eclipse falls in Leo, fire signs (Sagittarius, Leo and Aries) may feel this more strongly. To understand how an eclipse will impact your chart, find where 22 degrees Leo lands to see if it is within 5 degrees of any natal or progressed planets. The house in your chart where 22 degrees Leo falls indicates the area of your life most likely to be impacted by the eclipse. Lunar eclipses are turbocharged full moons encoded with sun opposite moon qualities of emotions. This focus on emotions brings clarity and awareness to relationships and connections of all kinds, including our connection to our higher self and the various aspects of our consciousness. Lunar eclipses can serve as emotional resets because they help clear any unresolved emotions of past months. This clarity may not come into full focus the exact day of the eclipse but the energies of the eclipse will continue healing and clearing emotions over the next six months. The February 10 lunar eclipse will be active until the next lunar eclipse on August 7. That eclipse will take place at 15 degrees Aquarius. This eclipse falls a few days before Valentine’s Day, which brings focus on relationships. Synchronistically, this eclipse highlights relationships and the nature of connections between partners and family members. It shines a light on work and home as well. Some aspects of the Feb. 10 lunar eclipse can create tension and trigger restlessness but other aspects are empowered to resolve conflicts and bring awareness to those things that disturb us. With intention and awareness we are empowered to heal conflicts between aspects of within our own consciousness which helps us to resolve conflicts with others. Lunar eclipses are also encoded with frequencies designed to enlighten and assist us. They can signal an auspicious time for relationships of all kinds. This is a time when existing relationships can grow and new relationships enter our lives. Relationships that have been under stress may end abruptly during an eclipse. This can also be a time when abundance flows and spiritual growth arrives through all forms of expansion. The key to making the most of this time is a willingness to sit with whatever comes up in the emotional realm. Eclipse energies will try to help us heal and clear any unresolved emotions from the past, opening the way for new energies of love and abundance to flow into our lives. Careful expansion through positive change and bringing clarity to emotions and connections is the theme of this time. Open to the new but remain willing to acknowledge the past. Set clear intentions for healing the past and for what you would like to create in the future. Eclipses can empower you to activate potentials you never thought possible. During the weeks immediately following an eclipse, pay particular attention to all the signs and bits of information you receive. Dreams and guidance can be especially profound during this time. Don’t disregard signs due to their source. The universe will utilize all opportunities and avenues to speak to you as the veils between dimensions thin, allowing for freer communication. Our receiving stations are wide open during this time. Guidance may arrive in very direct ways at times while in other moments insights are shared in subtle and symbolic ways. This is not a time to take bold actions or make important decisions. Hold all that comes before you in awareness and allow it to inform future actions and decisions. Events that happen during this time can be significant to your future. During the time of an eclipse it’s best to keep your schedule fluid as unexpected events can arise. A willingness to roll with whatever shows up will help you avoid wasting energy with pitfalls and roadblocks and make the most of the opportunities for growth and healing that materialize. Embrace any message you receive during this time as meanings may take weeks and even months to become clear. Each year on the Winter Solstice a portal opens and the Diamond Merkaba Grid Activates! This activates the diamond grid within each, connected with cosmic influences that line up on this particular day. This portal initiates the above & the below connection; Cosmic Divine to the connection with Earth, The merging of the Divine feminine/masculine aspects, twin flame soul unions and karmic healing. This energy portal allows you to stand in the quantum field of your diamond merkaba attached to that of Mother Earth’s Diamond Grid. This activates the higher aspects of self, the third eye to the heart chakra creating a triangle connection of heart (higher self), body, (physical and etheric), soul (Divine Christed spark within). Your diamond merkaba connected to your DNA Upgrades and trigger codes recalibrate within and anchor you to the grid. This is where the magic of manifestation happens! The Winter Solstice is a day to worship the sun’s energies and its cosmic influences in our recoding and recalibrating of the DNA Upgrades and Downloads connected to the belt of photon light energies. And right on time, the sun lines up with a powerful coronal hole facing Earth at this precise time. Coincidence? No. More so a cosmic synchronicity! Mercury also stations Retrograde on December 19th for 3 weeks going into January 2017. Use this time to your advantage in checking and rechecking legal documents to make sure all is in line. Make sure any contracts are correct and in order. For this 3 weeks, partnerships and collaborations should be put on hold, as Mercury’s influence affects communication, creating misunderstandings and confusion in a lack of understanding each other’s visions. Technical devices tend to malfunction during this period, so now is a good time to check all of your equipment, down to your vehicle to make sure all is in working order. This is a time to step back, and reflect going into your true vision of 2017 and how you wish to manifest this year into your highest good! “2016 goes out with a bang! Late in the month, three connections occur between slow-moving planets. These will be the dominating themes of 2017 and they all initiate during the holiday season. First, on December 24th, Saturn trines Uranus. People with this alignment in their birth chart have a natural ability to change the system from within, because for them, innovation joins forces with tradition. Wouldn’t it be wonderful if some progressive changes are integrated smoothly with “the way we’ve always done it” this year? Following quick on the heels of that one, Jupiter opposes Uranus on December 26th. This pits faith against reason, zealotry against fact and religion against science. Turbulence ahead, folks! And finally, on December 28th, Saturn squares Chiron, bringing the archetype of the Wounded Authority to the fore. Will leadership harm or heal? It remains to be seen. December’s is the first pass of three, finishing in November and somewhat ominously perhaps, it precisely conjuncts Donald Trump’s Moon at 21º Sagittarius and closely opposes his Sun at 20º Gemini. So as you can see with the 12:21 Portal, Winter Solstice Diamond Merbaka Grid Activations, Solar & Planetary aspects in play all combine for December to go out with a bang! 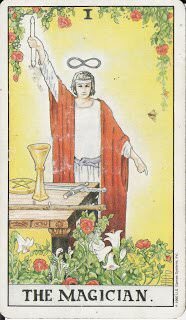 2017 which relates to a “1 year” in Numerology, also relates to the Sun & Magician Tarot Cards. We can expect 2017 to be a pivotal year in the continuing ascension process and that of New Earth held in a higher vibrational frequency. All that has happened prior was to place you and set you up for what comes next. 2017 will be an Action Year of Doing & Being all that relates to your authentic self and soul mission will be the primary focus. This last Diamond Grid Merkaba Activation of the 12:21 Portal is the last push of this year to further set the stage for your 2017. YES!, culminations, synthesis, wholeness, achievement, liberation, success, joy, attainment, happiness, material happiness, successful unions, accomplishments, contentment, opportunities, perfection, acceptance, good health and wellbeing, optimism, ambition, friendship, stability, union, positive outcomes. Focused will, creation, creativity, everything is possible, manifestation, skill, diplomacy, ability, confidence, communication, subtlety, self-confidence, work, new beginnings, activity and overwork. So you can see how everything is lining up for the 2017 – 1 Year, for your highest good all manifesting from all of the change, transformation, endings and karmic clearing the 2016 – 9 year brought forth to set the stage for 2017s positive blessings that are on their way. Make no mistakes, the hard work is not over, but this is where the magic begins to manifest for you and your highest good! In Numerology, number 1 represents being the number of ‘new’, it is the number from which all manifestation begins. It is the energy that begins all actions and leads the way in new directions. New ideas, new projects and the desire for expansion all allow the number 1 to go forth with courage, originality and decisiveness. 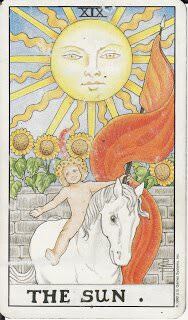 Many opportunities are presented in the year of 1 energy; one as a need to open up to the ‘new’ in all ways. This vibration is very independent, and will prompt one to do things their own way. A set routine or pattern is not comfortable with the 1 vibration, so spontaneity will become the norm this year and going with the flow, as you will see new ways of accomplishing tasks, analyzing data and integrating this information into your personal life and line of work. A brand new way of thinking and doing comes about with 1 energy. In closing, prepare for December 21st by meditating on this day. Create an abundance alter in your sacred space. Focus connecting your higher self, to your mind & third eye, to your soul, body and heart. Fill up with this Diamond Merbaka energy, and anchor this into your here and now! The heart chakra expansion energy has escalated over the past week, making you aware by palpitations of its expansion. When your Diamond Merbaka activates your heart opens wide like a flower in unconditional love energy. All lower densities fade away. All worries and anxiety fade away as you become aware that you are DIVINELY on the right path, Divinely protected, and all is lining up for you in Divine Right Timing. So be it & So it is! Big, Positive things are on the horizon for 2017! All of your hard work is about to pay off for you as the flood gates of Abundance open and come pouring in! Be open to receiving! For those who are here, 2017 will begin to show All what New Earth in a higher vibrational frequency looks like, feels like and is. The shift has already occurred. Now we anchor it here. I’m so excited to see what 2017 brings, and I’m truly blessed to be able to share in this experience with all of you! I love you all. Much love, light and blessings to all of you on this continued journey of Magical Bliss! Everything within this dense configuration of Reality that we call the Universe is interconnected. Through this interconnectedness, everything affects everything else. From the dawn of human spiritual experiences to present-day scientific discoveries, the reality of oneness and interconnectedness has continued to permeate as a recurring aspect of existence within the vastness of what we refer to as Reality. We are realizing, with a continuously-growing conviction, that change and transformation, whether it be in society, consciousness, or otherwise is directly affected by other elements of our universe that we sometimes fail to realize have the ability to affect us in transformational ways. These connections, which many times are unable to be seen through the limited field of human awareness act as two-way portals and tunnels through which energy particles and fields travel through. This may seem like something out of a sci-fi story but has time and time again been proven to be a very genuine part of our reality. It was only in 2008 that it was publicly stated that there are magnetic portals that connect the sun’s magnetic field with the earth’s. A year earlier scientists uncovered an elaborate and vast web of cosmic filaments hundreds of millions of light years long that connect galaxies to each others. Not only are the sun and the earth linked with each other but so are galaxies light years upon light years away. Distance is no obstacle for the interconnectedness of our universe. Getting back to the sun and the earth, we come to a very significant and important realization…that solar flares have a direct effect on everything that exists on our blue marble…even human consciousness. Solar flares were found to directly affect the mental and physical state of humans in 2008 and three years later, we are seeing just how true that finding truly is. The sun has such incredible power that it is able to send solar flares shooting into the Earth’s atmosphere and affecting its electromagnetic energy field, as well as affecting each person’s electromagnetic energy field. When looking at profound shifts in society and consciousness, we can find the pineal gland to be of particular importance. Yes, this tiny part of our brain that has been professed as being a DMT production laboratory acting as our gateway into more subtle planes and dimensions of Reality also regulates circadian rhythm and melatonin production…it is incredibly sensitive to magnetic fields. There is a positive side to the increase in sun activity. Periods of increased solar activity don’t just correlate with societal unrest, but also give rise to innovation and enhanced imagination in architecture, arts and science. The old social structures which are not helping humanity become more consciously evolved might be replaced with more suitable and sustainable models. Above all else, this is a time of opportunity and possibility and the chance to use these rushes of energy to create humanitarian advances and a sustainable living environment. We are all affected slightly differently by these cosmic forces, such as solar flares, which is why one person may be affected negativity whereas another in a more positive way. Those individuals who have compressed anger, fear, and jealousy will see their energy fields weaken. Our thoughts help shape and create our reality so it should be of little surprise that the toxic emotions and feelings that we may choose to marinate within our minds may result in the weakening of our energy fields, leading us to become more vulnerable to the negative effects of these electromagnetic solar energy influxes. In order for us to not get into such a downward spiral, we need to identify the negative emotions before we are able to resolve them. If our electro-magnetic energy field is weakened, we become more likely to be significantly affected by the increasing solar activity. The increase in solar activity activates compressed jealousy, anger, and fear in our minds, no matter if we are conscious or unconscious of this process. If people have not been working on healing these issues, the issues become stronger and magnified when there is a period of increased solar activity as there is now. We are living in a difficult period of our timeline, yet we should not allow ourselves to become sad about the state of everything because we can use this period to our advantage. Let’s use this period of increased solar energy to create great opportunities for positive social transformation… the world desperately needs it.